Taiwan tech giant Asushas expanded its laptops range in India with the unveiling of the new Asus VivoBook 15 X510. The new VivoBook 15 X510 is priced at Rs 45,990 and is available offline at Asus exclusive stores and other retail outlets. Key feature of the newly-launched laptop is that it comes equipped with Intel Optane Memory. For those unaware, Intel Optane Memory is a new and faster storage repository that lies between RAM and main storage. The device features 4GB RAM +16GB intel optane memory. Asus VivoBook 15 X510 boasts of large capacity of HDD with 1TB storage. 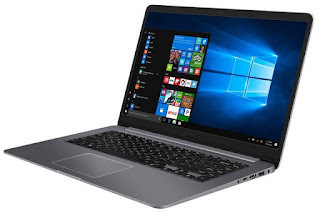 VivoBook 15 X510 is powered by the latest Generation Intel Core i5 processor with NVIDIA GeForce MX130 graphics. It comes with 15.6-inch Full HD display with 7.8mm bezel on the NanoEdge display. The laptop offers 80% screen-to-body ratio and 178 degree wide-view technology. VivoBook 15 X510 is said to come with an optimal battery life, lasting for 8 hours. In addition, it supports fast charge, reaching 60% in just 49 minutes. The laptop comes with Asus SuperBattery technology providing three times longer lifespan as compared to the lithium-ion batteries.